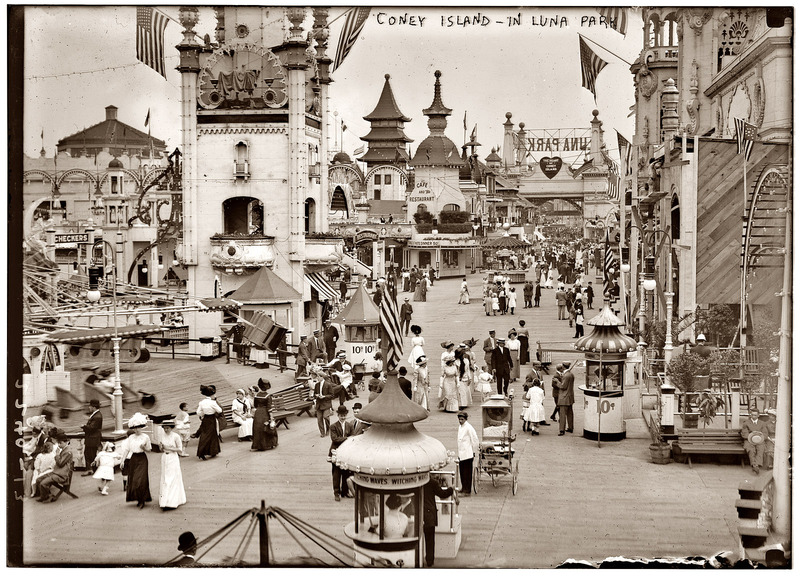 Different images plucked from the history archives and placed on a blog. 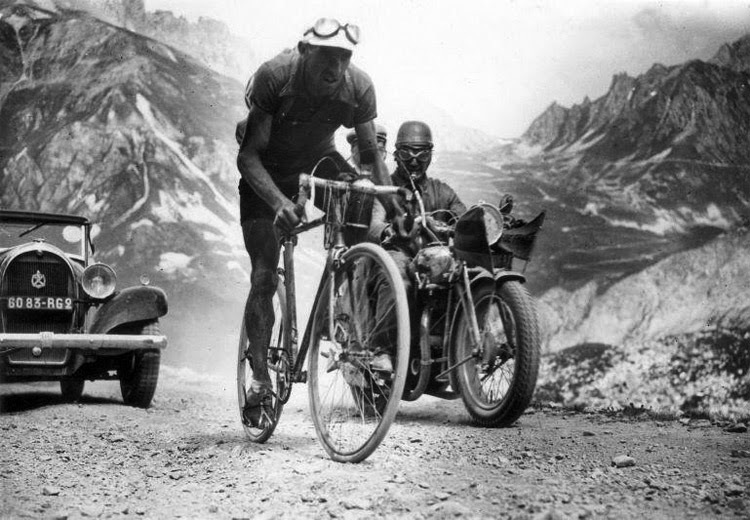 Mountain stages used to be a little different on the tour , similar routes just the road conditions might have resulted in a few punctures these days. Picturesque mountains in the background. The 1928 Tour passing through a village, women waiting to cross the road. Again the roads look in poor condition but the riders don't seem to be going too fast here. 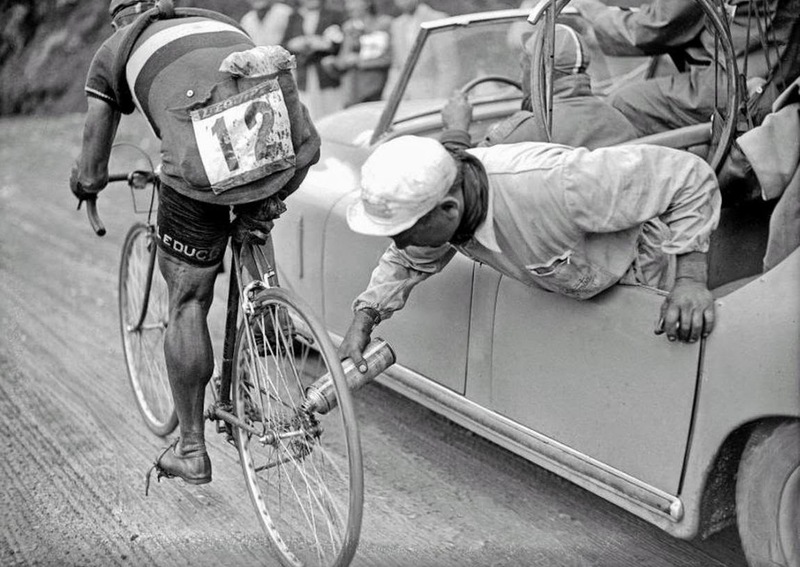 Running repairs, bit of grease from a man hanging out of a support car. Health & Safety in full force. 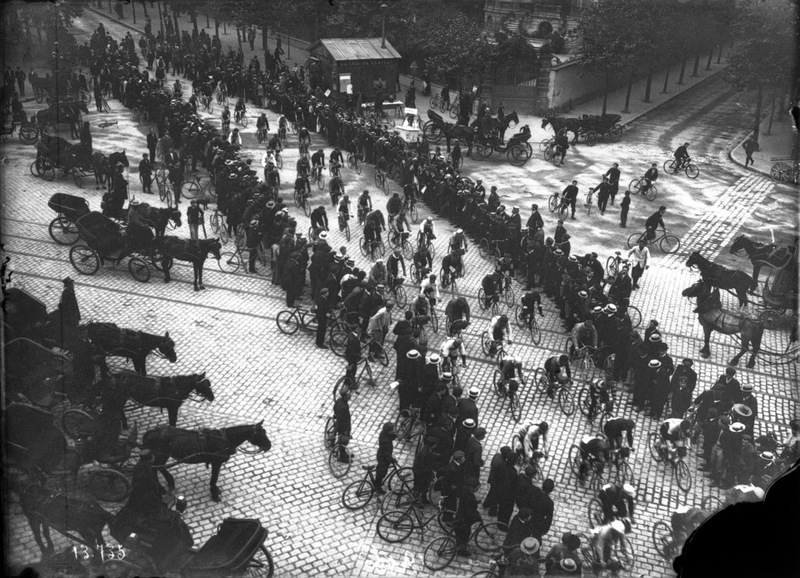 Only a few years old the Tour was growing in popularity and as we see above the 1906 was attracting lots of spectators through a French town. 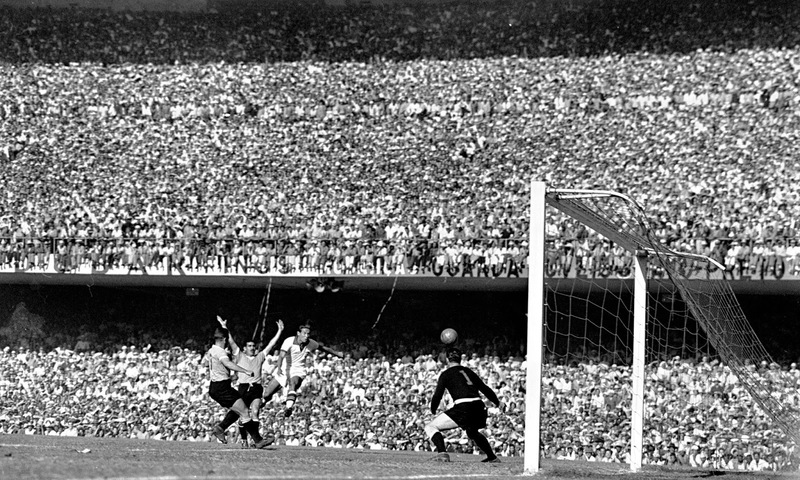 As another Football World cup takes place we look back at the 1950 match between Brazil vs Uruguay. An amazing photo showing so much detail of the players and crowd. Look at the shot seemingly goal-word bound with defending holding up their arms in protest. Those were the days when the fans would pack in so tight. The legs of the people dangling down over the advertising signs. Ohh yes, this was the final. Just the 173,000 people in attendance. 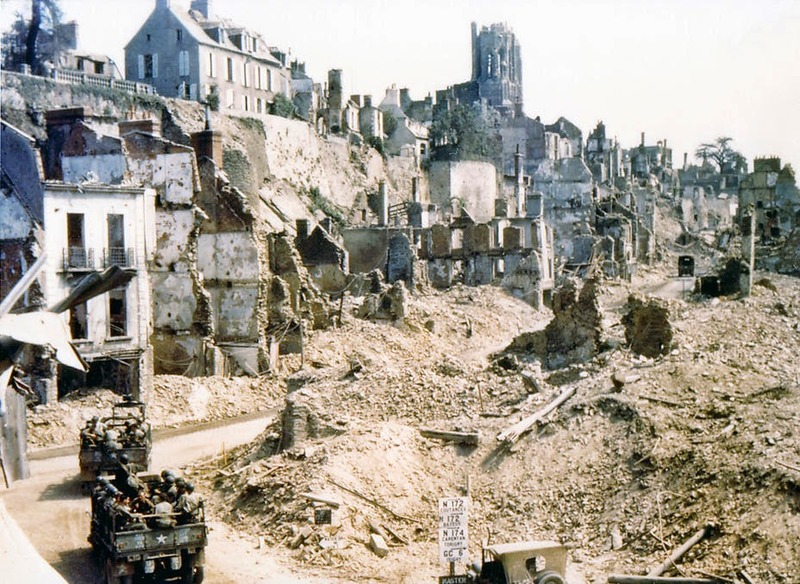 Caen, France 1944. 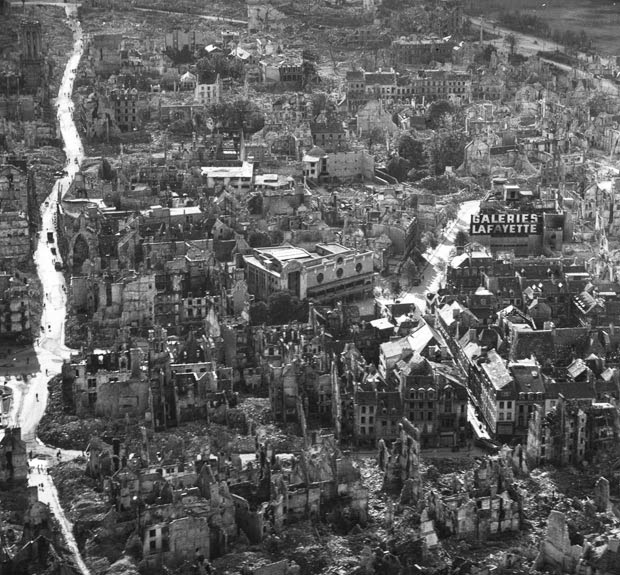 Ariel shot of the city showing the devastation left by WW2 and the German invasion. 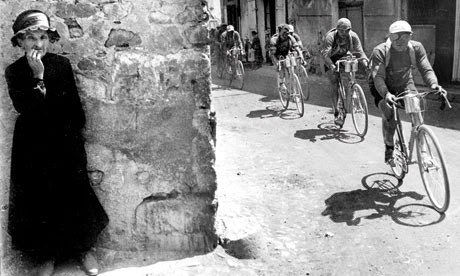 Saint-Lô France 1944. American troops entering the town. Not often I use colour photos but this one seems to be untouched and natural. London 1901. Bangor Street was in the potteries district of Kensington, where a Rag Fair was held. 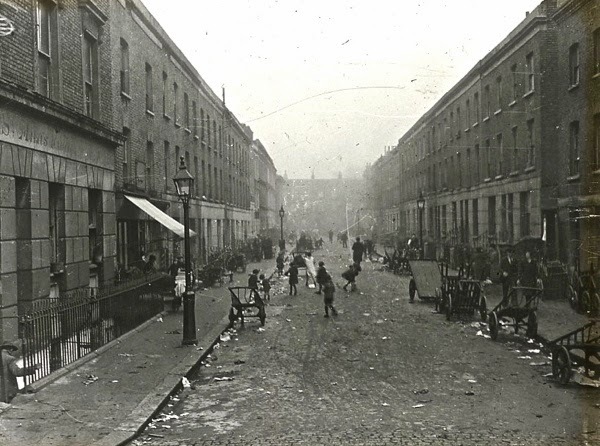 In the early 20th century it was a more renouned street market than Portobello. The street was coloured lowest class black in Booth’s colour coded poverty maps of 1889-1902. 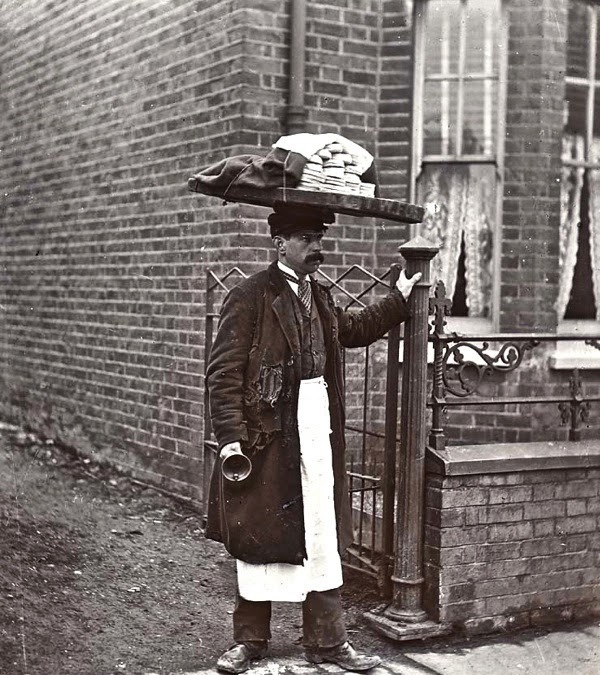 A muffin seller in London early 1900s. Bell to help sell the muffins on the streets. A flight of bombing planes 1st Australians flying corpse, Palestine. 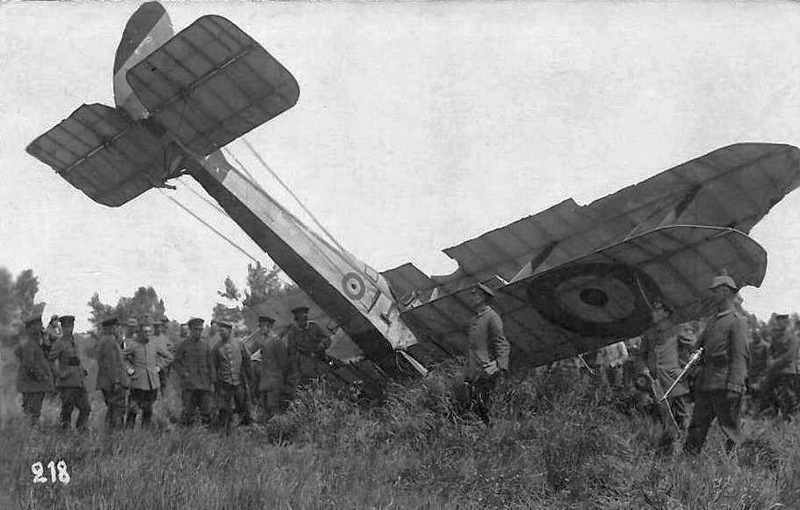 A crashed British plane that looks in good condition - other photos show crumpled heaps - so it may simply have run out of fuel and made an impromptu landing. 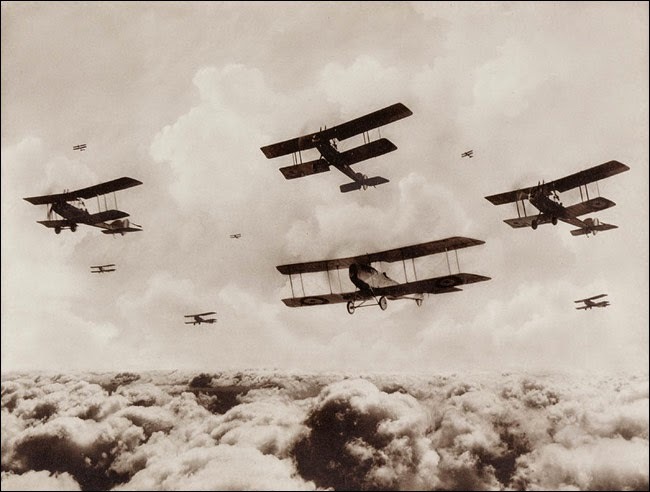 Flying planes in WW1 was an extremely dangerous task, more died in training than in battle. 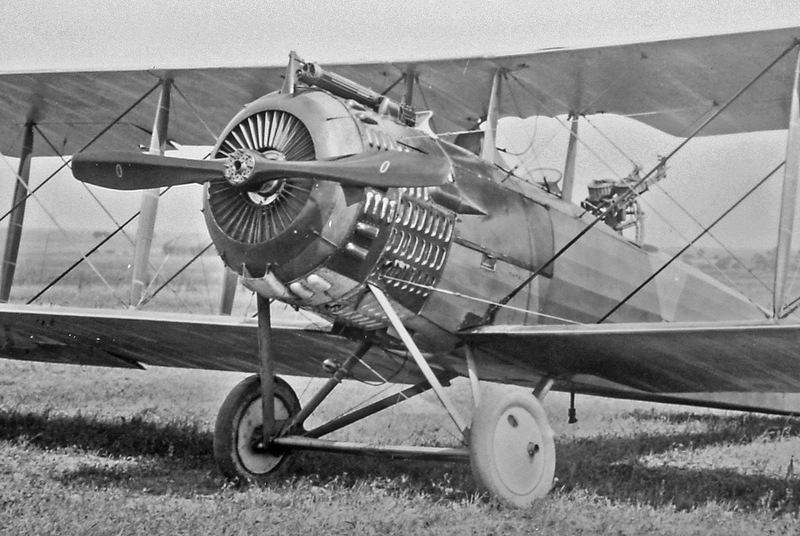 Given flight being rather new and the very fragile planes they used meant a pilots life was often short. 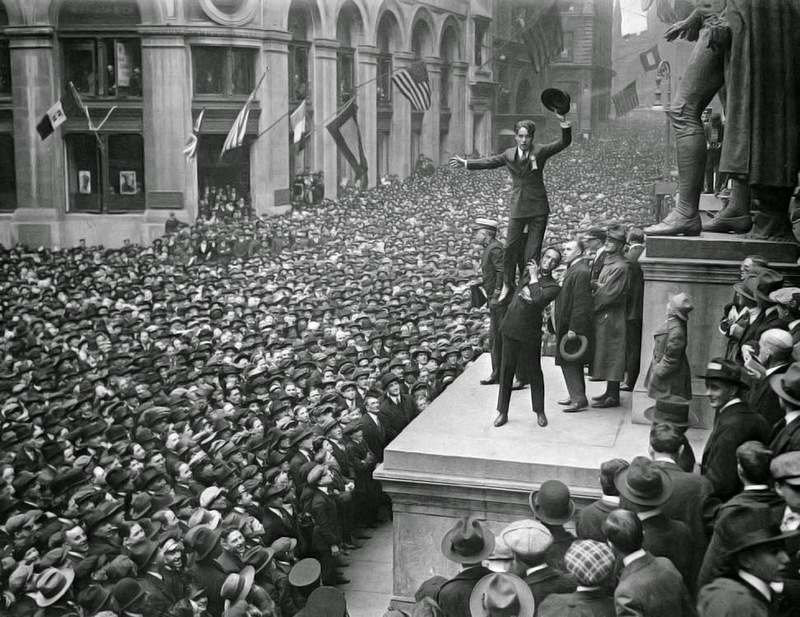 Douglas Fairbanks holding up Charlie Chaplin in front of crowd to promote Liberty Bonds, Lower Manhattan, NYC , 1918. As you can see there was a rather large crowd here! 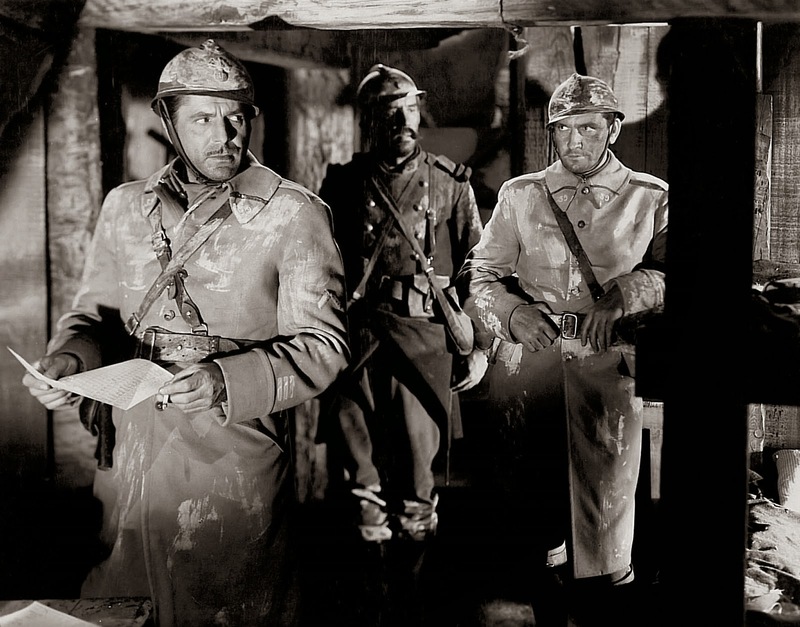 WW1 Movies: La Grande Illusion, The Road to Glory. 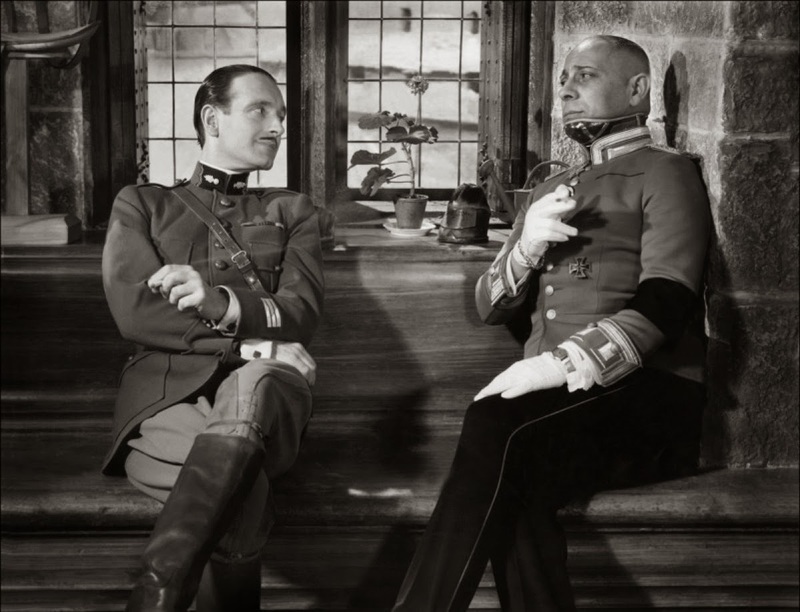 La Grande Illusion is a 1937 French film about a German POW camp. Always interesting watching non-english WW1 movies and their prospective on how things unfolded. 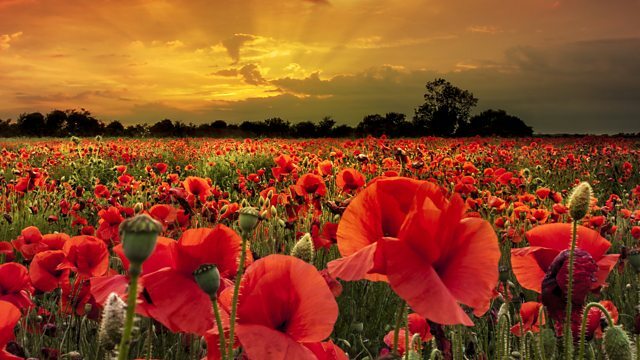 The Road to Glory - an interesting look at Trench life and relationships in WW1. 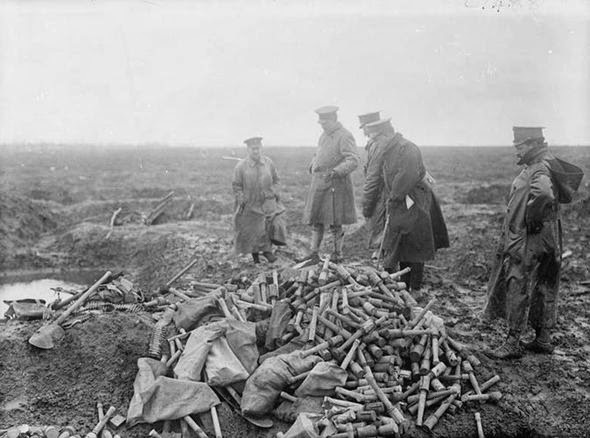 Spanish clearing up some of the mess left on the battlefield at the Somme. 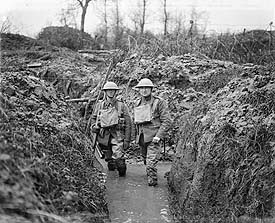 A few things we notice similair to many other Somme photos is the total destruction of the landscape, boggy, mud, awful conditions for anyone. Sadly not the best of photos but it convays over to us the reality of the Somme and other battlefields in WW1. Wire fence behind the water filled trench where lancfusiliers are patrolling. 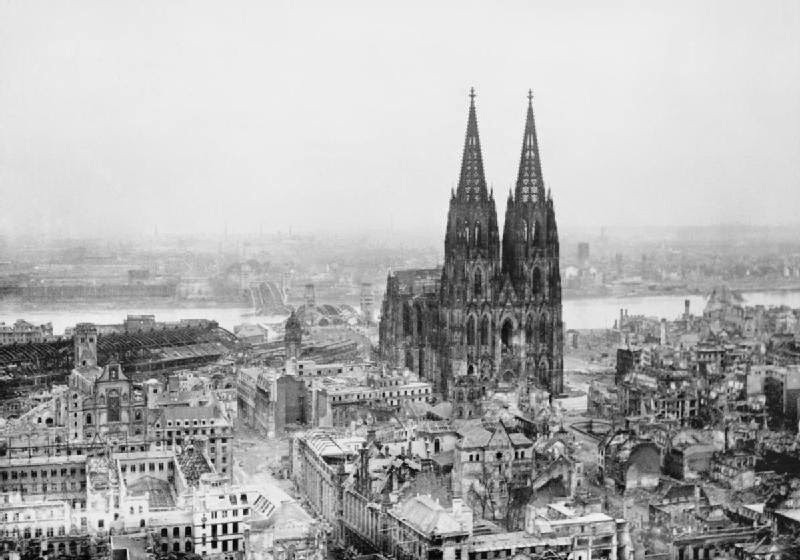 I like old photo's especially dealing with WW1 & WW2. If anyone has more information on the photos on this blog please post a comment.